Whether male or female, young or old, the voices in Marian Thurm’s dazzling new collection of short stories What’s Come Over You? resonate with a candor by turns painful and hilarious. With penetrating insight and dead-on precision timing, Thurm delivers up a cast of unforgettable, if slightly off-center, characters in these thirteen consummately crafted fictions –stories that capture those transitional moments of life suspended between comedy and calamity, when what truly matters often dangles from the most fragile of threads. Meet the rabbi in “Moonlight,” whose wife announces over the synagogue PA system that she’s leaving him, or Lacey, in “Passenger,” a wise and mouthy twelve-year-old, who rides shotgun in her mother’s cab as she struggles to make sense of her parents’ divorce. Meet Charles, a lonely young gay man in “Ancient History,” despondent over the impending marriage of his best female friend, and Jake, in “Like Something In This World,” a retired widower who has taken up residence in a tent on the lawn of his uptight, ambitious son. In each story, Thurm’s dialogue cuts a brilliant line through her narratives, managing to be both hip and trenchant, never striking a false chord. Her characters leap exuberantly from the pages –confused, wounded, farcical, and frank– often treading with missteps that evince a lasting truth. A keen observer of the human condition, Thurm unflinchingly reveals the emotional terrain of her characters, with genuine compassion, understanding, humor, and honesty. 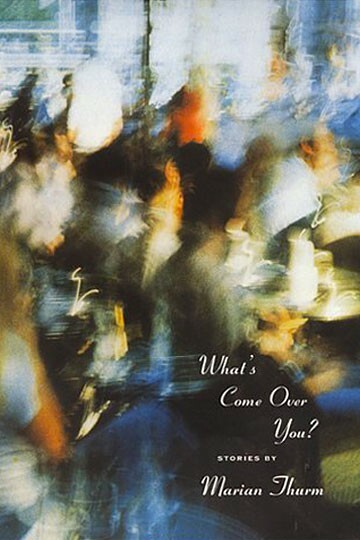 What’s Come Over You? is short-story writing at its best. Thurm’s collection is distinguished by its satiny prose style… buffed to a glow and brightened by a vigourous sense of the absurd. An exceptional collection of stories… vivid and startling… Thurm embraces the ironies and absurdities of the ordinary world and transforms them into a series of small epiphanies. Marian Thurm writes with an authority that is always impressive… stunning, and that compels our innocent belief. Her stories are acoustically perfect…. She writes brilliantly of the battle of the sexes. Marian Thurm’s stories have the matter-of-fact yet haunting quality of an Edward Hopper painting. She has a keen eye and ear for the absurd that lurks everywhere. The range of characters whose preoccupations, problems, quirks, and deepest feelings Thurm reveals to us is wide and wonderful…. Unforgettable. Marian Thurm’s fiction has appeared in the New Yorker, the Atlantic, Mademoiselle, Ms., Redbook, and many other magazines. 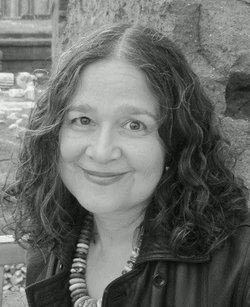 She is the author of four short story collections and eight novels, the most recent of which was The Clairvoyant (1997), a New York Times Notable Book of the Year. She teaches creative writing at Yale University.